It can be tough on parents to keep generating family-friendly days out, which everyone can enjoy. It’s unlikely that you can afford half of the options, let alone opt for something democratically. Here are just a few of our suggestions for inexpensive days out that will allow everyone to bond together. Who doesn’t love chocolate? If you’re a freak of nature, who has forsaken the more-ish delights of the cocoa bean, move on to the next subheading – nobody wants your healthy diet choices here. Easter has already been and gone, and you won’t get another chocolate haul like that again until Christmas (from well-wishing relatives who really can’t think of anything else to buy you). 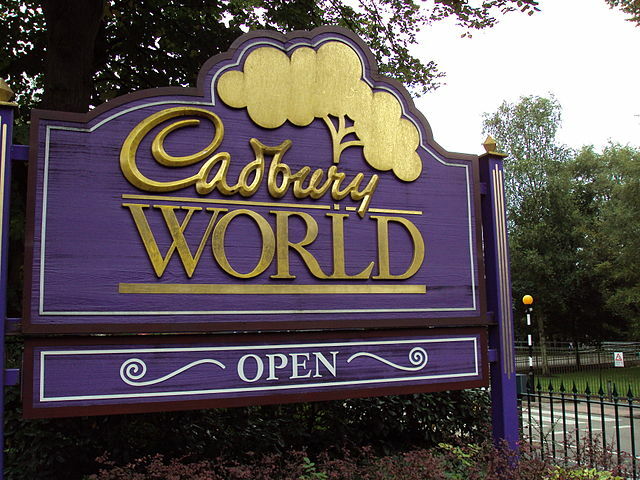 Well, that is…unless you go to Cadbury World. 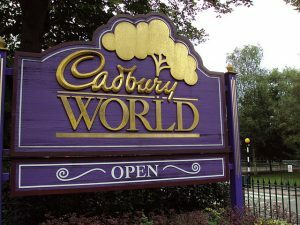 Cadbury World is largely a poorly masqueraded opportunity to walk away with a year’s supply of chocolate (okay, a week’s). Yeah, you can learn about the chocolate-making process and even how Cadbury advertises their goodies, but really everyone is here to get sick on Crunchies. Just remember to take a pack of wet wipes with you, or you’ll regret it. There’s also an African adventure play park, where the kids can work off all that extra energy. Top tip: book online and save 5% off a family ticket price. Walking can be a bit lonely and boring, but at Nidderdale Llamas, you can go for a trek with a llama…just because. Special therapy sessions with the llamas can even be arranged for children with difficulties. You can meet and greet the alpaca, before strapping on your walking boots. Don’t worry, these llamas are friendly and gentle souls, who don’t rush slow walkers. There’s no spitting from these furry creatures. According to Trip Advisor, it gets 5/5! Our nation’s child museum is especially tailored to the kids…and your inner five year old. Eureka is especially designed for young ones, so if you still have under-tens on your hands, this makes learning fun. The new gallery, ‘All About Me,’ explores how the body works, and was built by adults and children working together. Other attractions include ‘Living and Working Together,’ which means children can role-play as grown-ups. There are many more informative and hands-on galleries. Go wild at Chester Zoo! Not only are there 11,000 fantastic animals to see but there is also Oakfield Manor to explore. The beautiful gardens are excellent for strolling around. Chester Zoo is big on its conservation and can boast some of the most innovative enclosures in the country. Besides, no-one ever grows out of their love for cute and amazing animals, so even Granny can come along and have an enjoyable day out. Fans of Harry Potter will be stupefied by this day out. The Harry Potter tour includes real scenery from the films, from the Great Hall to the Gryffindor Common Room. You can even toast to your day out with a glass of refreshing butterbeer! The fun and furry inhabitants at Knowsley Safari Park have collaborated with Kids Ain’t Cheap to bring you this post today. Click here for information on exciting days out. Got any ideas for family day trips that we’ve missed? Share your recommendations in the comments below!